SONUS – what it sounded and looked like. Recap. Think Festa. Think Banging. Think Heat. Think Sunday. Think Music and Banda and Beer and Fireworks and Sweets and Festa Food. All of that. 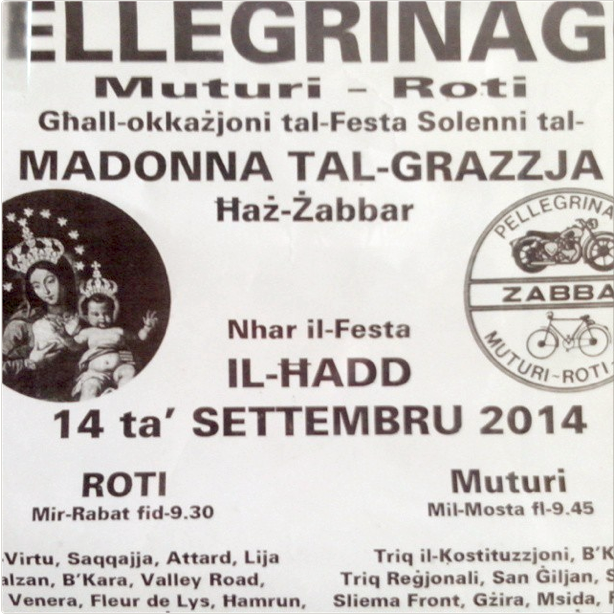 Among the things that are special to the Festa in Żabbar, the most obvious one is the so-called Pellegrinagg, a two-wheel procession from Rabat to Żabbar. Both motorised and non-motorised bikes came from all over the island, to gather in the main square and be blessed on this Sunday morning in front of the Church. And boy, they many and noisy…. This year, something else very special happened. 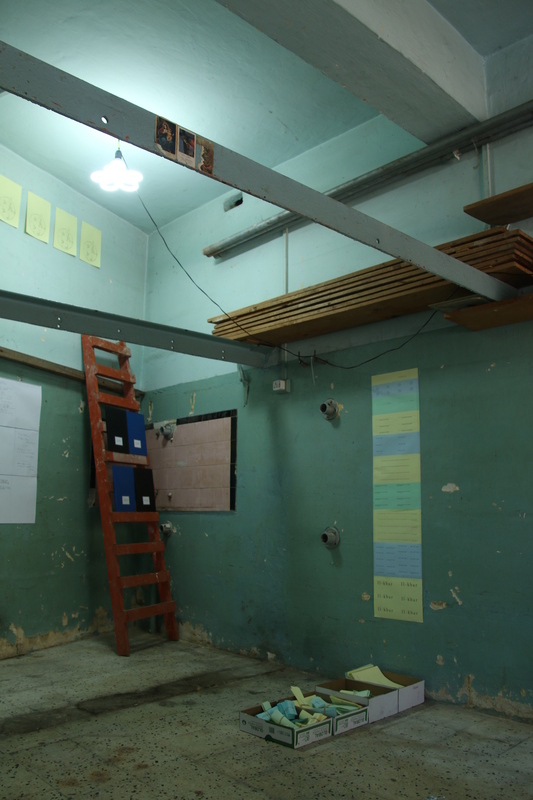 Imagine a Garage Space, with a typical Maltese garage lamp, with flaking turquoise painted walls, and its dirty greasy floor. A proper garage. (Thank you to the garage-owner for letting the space! And thanks to the neighbour for providing electricity!) Tucked away just a couple of metres from the main square, this lovely garage hosted the FRAGMENTA-Edition SONUS -The Sound of Sonnets, and the Paper Memory Machine, thus being reminiscent of the Maltese ‘Wirja’ (a type of exhibition which normally coincides with religious activities). 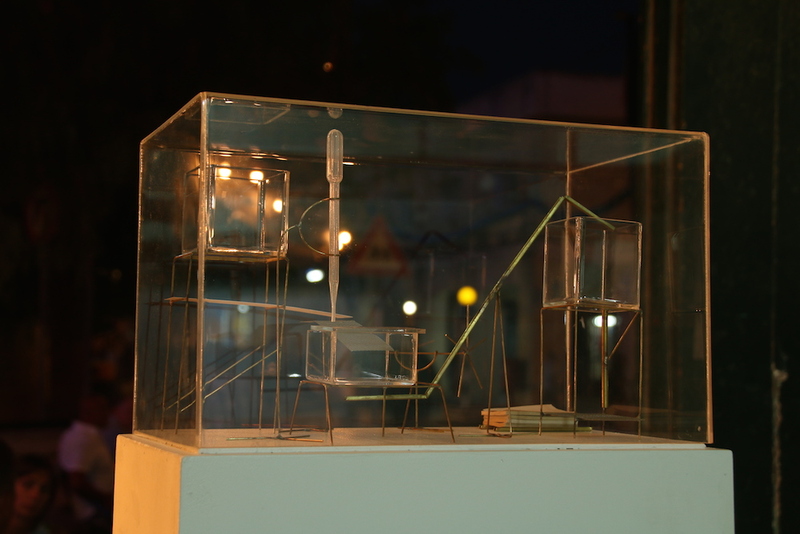 Whilst outside, Żabbar was partying or sleeping – depending on the time of the day – inside the garage, a model of MACHINA, the Paper Memory Machine, was presented alongside a series of conceptual drawings explaining the mechanism and function of the machine, as well as copies of traditional and contemporary sonnets. 1) the historical part showing old ‘Sunetti’. 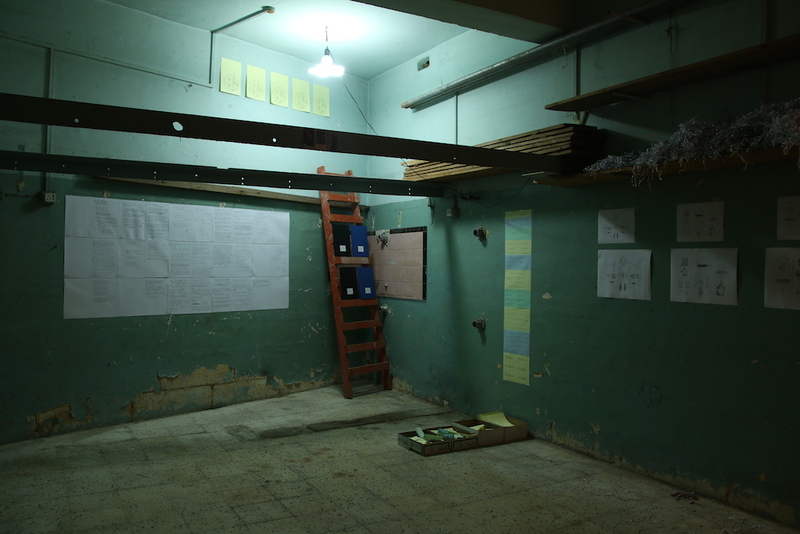 2) Adrian Abela’s interaction and documentation of it with people from Żabbar to create contemporary ‘Sunetti’. 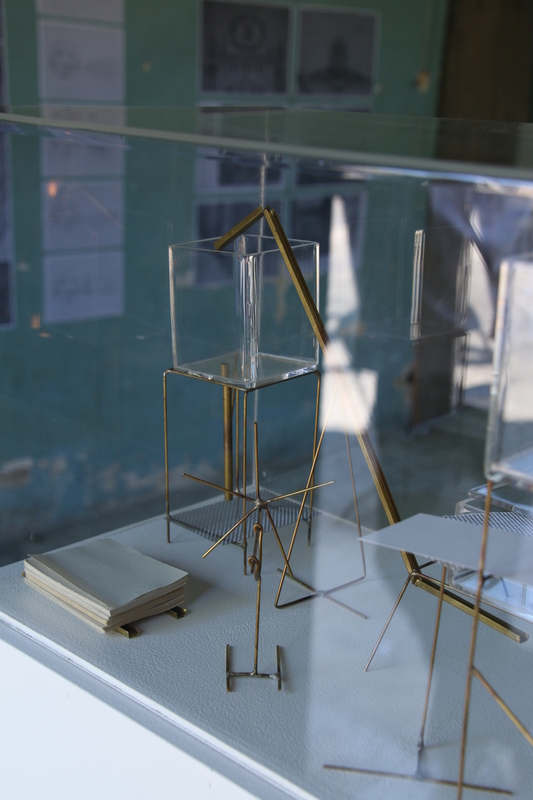 3) Model and Drawings explaining the functioning of MACHINA, the Festa-Paper Machine. SONUS, the sound of Sonnets. “The word ‘Sonnet’ is derived from the Latin word ‘sonus’ which means ‘sound’. 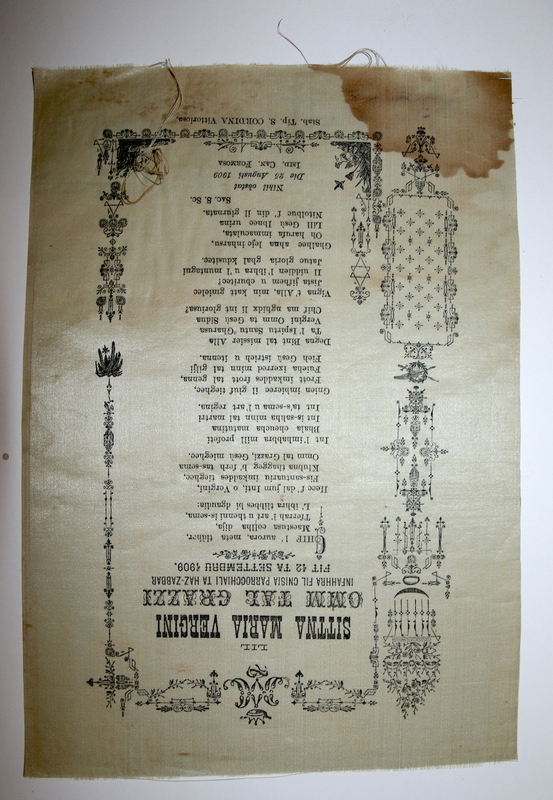 The Sonnets, known as ‘Sunetti’ in Maltese, originated as printed texts containing messages which were scattered among streets as part of the village festivities. These Sonnets were thrown during the feast for the additional reason that most villagers were illiterate; therefore, these texts could be read out loud by literate persons while others gathered around to listen. 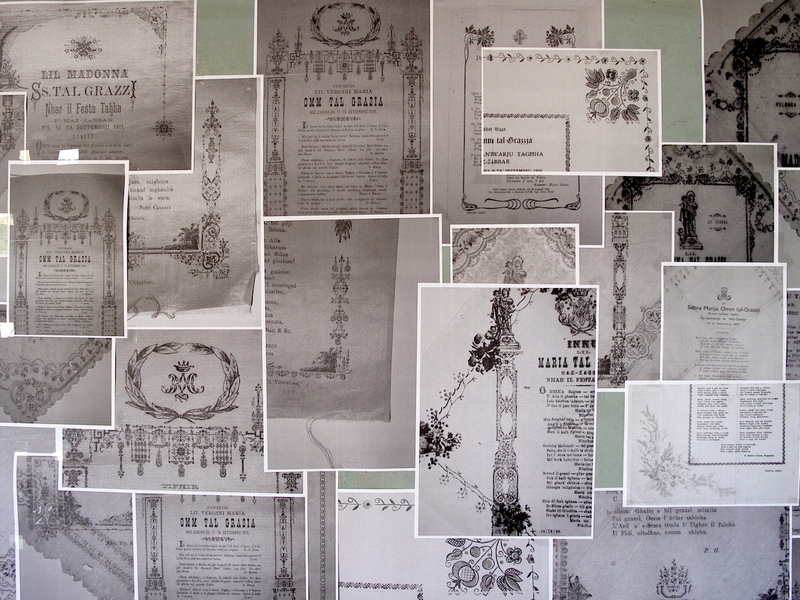 At SONUS, photocopies of rare sonnets found at the Żabbar sanctuary museum dating back to 1910 were arranged on one of the walls. In line with this historical tradition, the artist requested the people of Żabbar to contribute their own messages. Four empty books were placed in different public places for this purpose: one at the church, one at the town’s museum, and one in each of the town’s two band clubs. Adrian Abela transcribed the contemporary messages as noted down in the books and made typographic reinterpretations of some them. 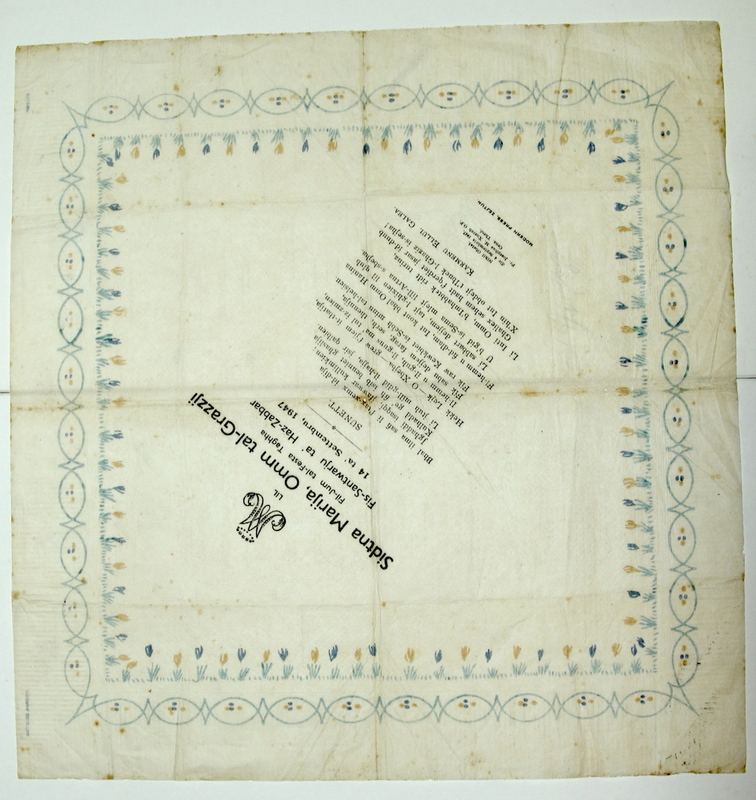 These were then printed in large amounts on yellow, green and blue paper – the colours used in the public celebrations – and were given back to the public to be scattered together with their own re-used paper during the feast of next year. Adrian says: “It was interesting to note people’s reactions to the project and the different kinds of messages that they wrote. Some expressed care for the wellbeing of all the people of the town, some prayed solely for themselves, while others passed comments about what the festivities meant to them. Examples of the messages encountered include: ‘Kollok deheb, Kollok djamanti’ (Full of gold, full of diamonds), ‘Mulej Alla nitlob għal kull min għandu xi dwejjaq biex bʼmod jew ieħor tfarrġu, grazzi taʼ kollox sinjur Alla. ‘ (Lord God, I pray for all those who are in any way sad; may they somehow be consoled by You; thank you for everything Lord God), ‘Għinni Madonna nikseb il-paċi u l-hena/Madonna sib tifel twajjeb lil Maria/Ħarisha int Mulej/Madonna ħudilna ħsiebha. 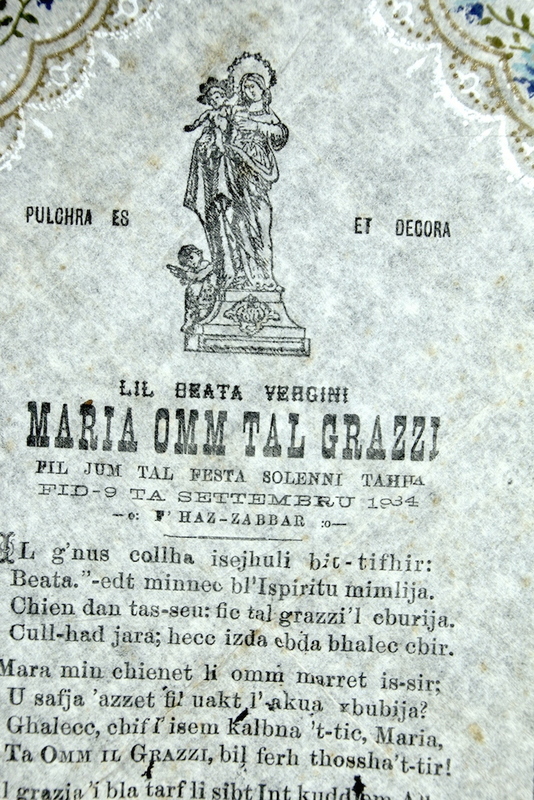 ‘(Holy Mary, help me achieve peace and contentment/Holy Mary find a good young man for Maria/Look after her Lord/Holy Mary take care of her for us),’O Alla l-aktar għoli u glorjuż /dawwal id-dlamijiet taʼ qalbna.’(Oh God most high and glorious/light up the darkness in our hearts), ‘Keep looking for the future’, ‘Xogħol, xogħol u xogħol.’ (Work, work and work), ‘Għaraq sħana u tidlik’, (Sweat, heat and stickiness). ‘ W a r r b u l n a għax ġejjin’. Originally, the sonnets were decorated with meticulously hand-drawn designs before being printed. In this case, the ‘ornamentation’ was transmitted through the placing, size and spacing of the typography used related to the content of the text. The main purpose of this public intervention was to physically ‘hack’ in a positive sense the celebrations through the distribution of messages among crowds. 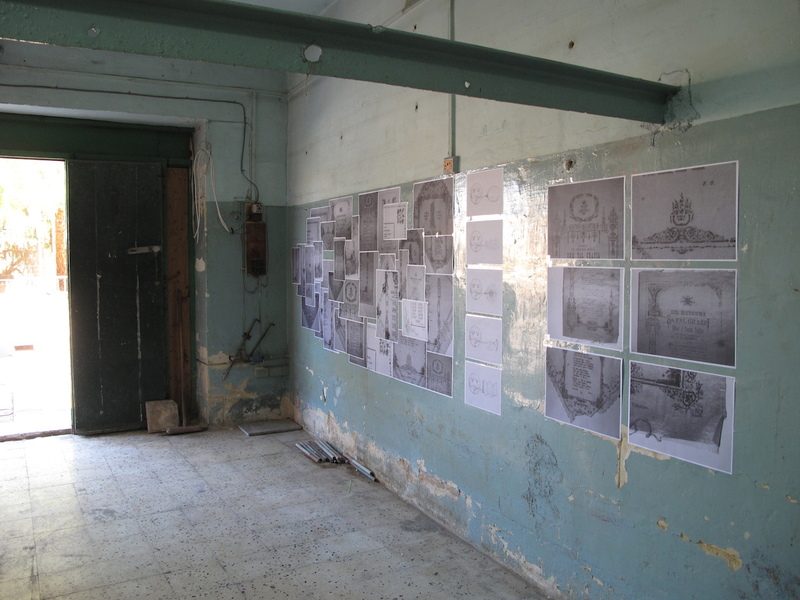 All texts written by the public were presented as photocopies in the exhibition space on the wall next to the original handwritten books. Five drawings representing the living soul of the feast celebrations were displayed. 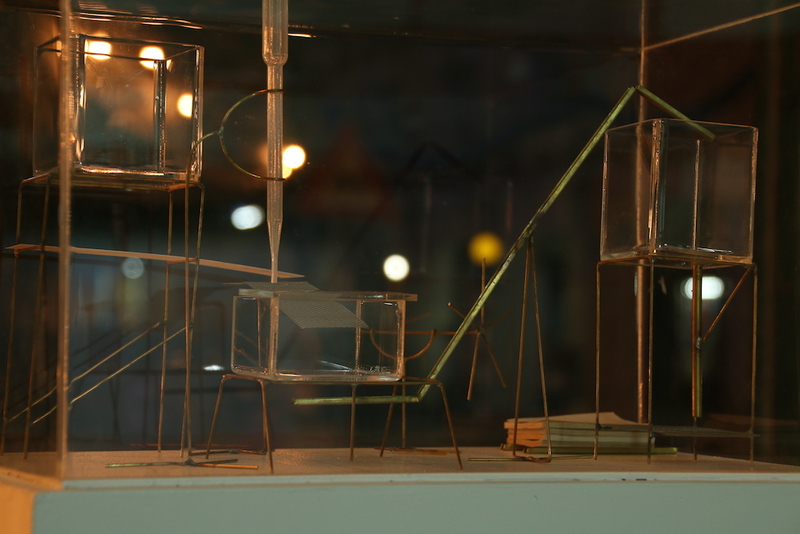 According to Adrian Abela, they illustrate a dissection of the actions that would be used in the mechanism of MACHINA, the paper memory machine. E) The Balloons filled with breath which are used in these public rituals. 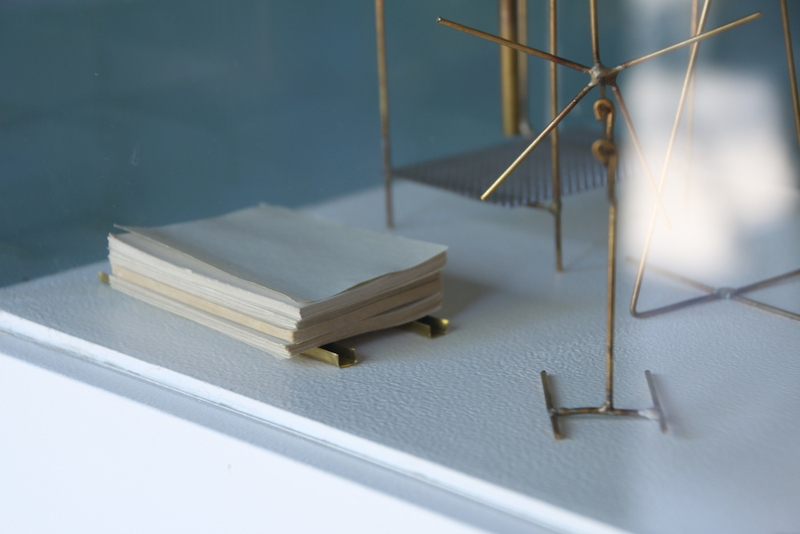 The model, for many the highlight of the exhibition, was constructed from brass – the same material used to produce wind instruments, also omnipresent at these Festas – and delicately placed on a plinth to be visible from the street. 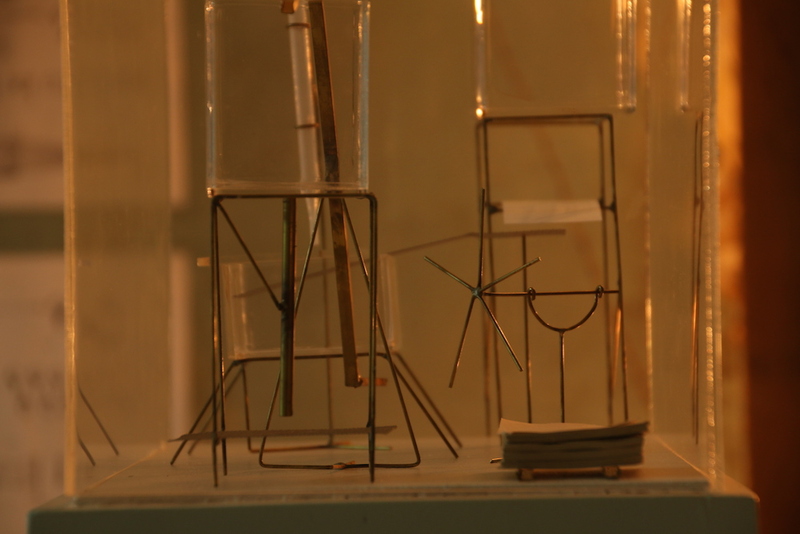 Ten diagrams explained the functioning and the architecture of the machine. Echoing the five elements previously described, these drawings incorporated forms and proportions derived from the aesthetic of the ‘armar’ – decorations that the villagers put up during the festivities. Adrian Abela also made use of concepts encountered in the biological function of primitive microscopic organisms, which survive through simple ingestion and excretion mechanisms, to describe how the feast paper would enter the machine and exit it as new Memory paper. Everybody who stepped into the garage stepped into this univers, a mix of historical, conceptual and activist exhibition. Discussions evolved around the historical papers (“I did not know they were so old/ they used to contain messages…?” “They used to be on textile?”…). Discussions evolved around the participation and about the future construction of the Machine. Some stayed for drinks outside (after all, we were at a Festa). The sound from outside – hooting bikes, roaring cars, noisy people, criquets from the summery trees, Banda music, Church bells, and of course the plethora of fireworks – provided an ideal acoustical backdrop to this exhibition. 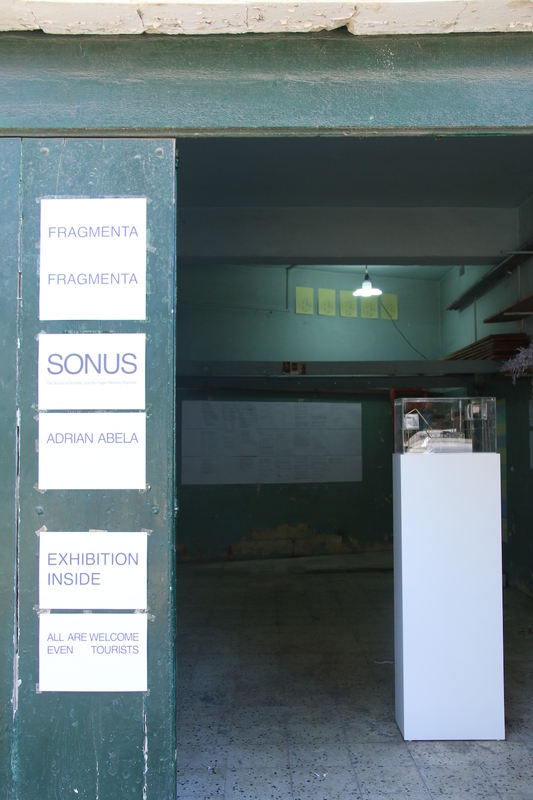 Thank you everybody who came and supported the SONUS-Fragmenta Edition!